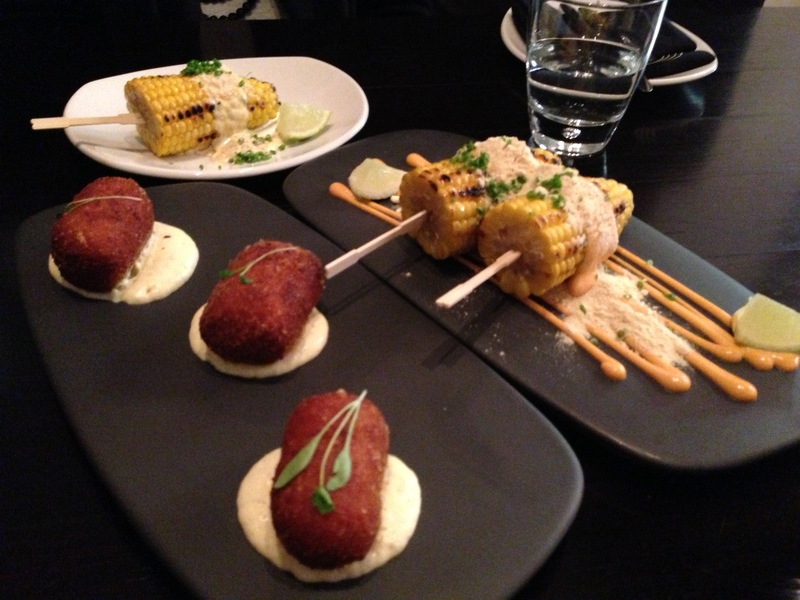 Spanish Goodness in Glen Waverley: Black Toro | 15,000kms of Food! The Black Toro. My, oh my…. When I was first told that I was going to Glen Waverley to eat Spanish food, I was skeptical. Very skeptical. But it turned out to be pretty good! The place was packed on a Monday night! Service was good and prompt, and they went out of their way to cater for my pregnant friend (from ensuring she had a good seat to substitute ingredients). Had to have the obligatory “grilled corn on the cob with chipotle mayonnaise & toasted masa“. I find myself using this dish as the comparison dish to all other Mexican joints in Melbourne and it’s satisfactory. The over supply of sauce meant that it was not as delicate as Mamasita. The “potato and chorizo croquette with manchego foam” was good – fluffy and tasty. 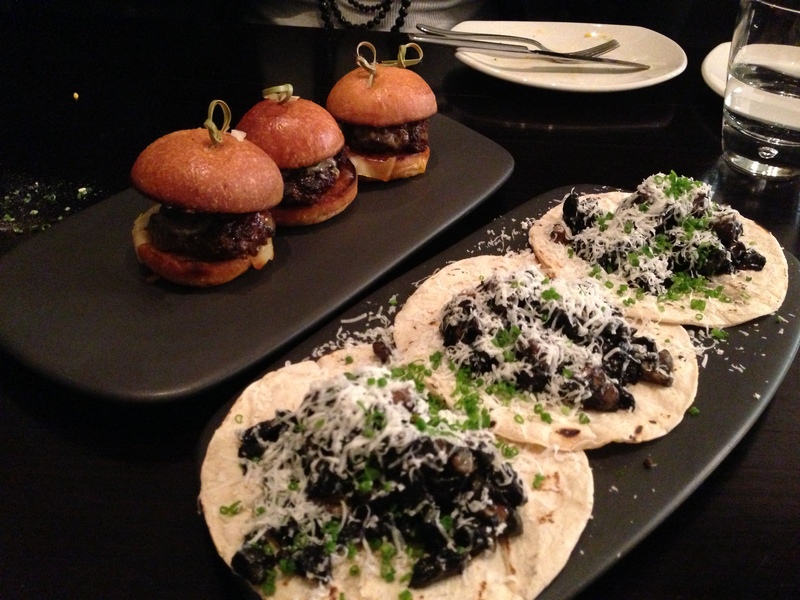 The “mushroom taco with corn truffle, ricotta and chive” was my favourite dish of the night, closely followed by the “Wagyu beef slider with toasted brioche, pickled cucumber, cheese and ancho ketchup“. The tacos had the right balance of ingredients and texture. The sliders were great with nice buns. 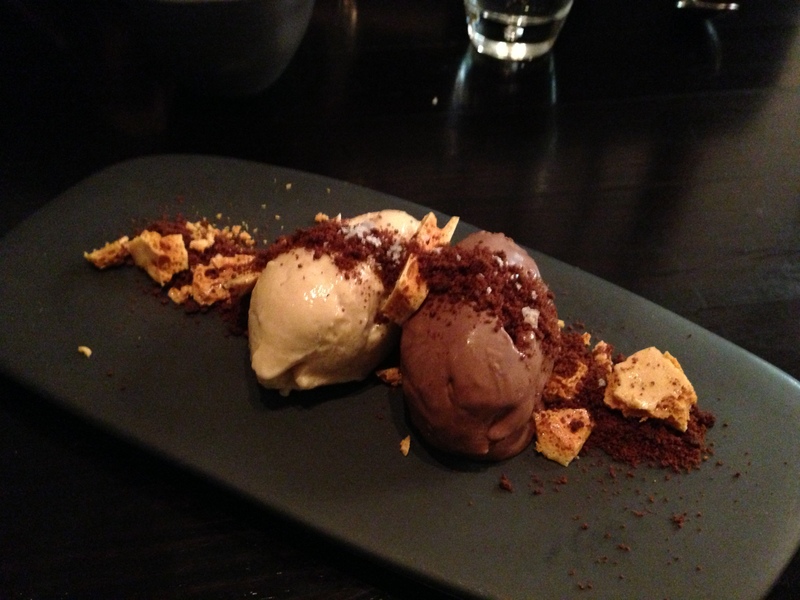 Finished the meal with a “deconstructed peanut butter cheesecake, chocolate ice cream & honeycomb“. I liked that it was deconstructed, you could pick the perfect proportions of each component to suit your taste. Glen Waverley, you have another awesome restaurant to add to your repertoire! Good food, good service, lively atmosphere – all good!